What Are Some Best Practices For Preparing For A Child Custody Evaluation? Custody evaluations are a very common legal process in which a court-selected mental health expert assesses the family, and from their assessment, they make a recommendation to the court for a child custody plan, as well as visitation. The expert will meet with both parents and the child, and their recommendation will reflect what they believe will be in the best interest of the child. The child evaluation process usually comes about because the parents could not come to an agreement on a custody plan. Although there are no tricks to “passing” your evaluation, there are a few things to keep in mind when meeting with the examiner and some tips on how you should handle yourself. First, above all else, cooperate with the evaluator and make yourself available for appointments, showing up on time and staying positive. Even though you might have severe anxiety that you aren’t “impressing” the evaluator, you really won’t be doing yourself any favors by being uncooperative and unreceptive, as it will reflect very poorly on you. In addition, although you may have had some serious issues with your spouse during the marriage, if it doesn’t really reflect their parenting competence or anything relevant to the child, it won’t do much for your case. Unless their behavior is something that directly involves their parenting ability or jeopardizes the child, it is best to not vent your feelings to the examiner. This next tip is strongly advised, as it can seriously ruin any chance you have of getting custody of your child, even if your intentions were good. DO NOT ENCOURAGE OR DIRECT YOUR CHILD TO SPEAK NEGATIVLEY OF THEIR OTHER PARENT PRIOR TO THEM MEETING THE EVALUATOR. Expert examiners can easily tell when a child has been a coached, especially young child, and this will look really bad for you. I bring this up (in a separate paragraph) because tons of parents make this mistake, thinking that if they cover all the bases, custody is as good as theirs. But in reality, you will look like a desperate and deceitful parent who isn’t confident in their parenting abilities. When meeting with the evaluator, either with alone or with the child, present yourself as a reasonable, communicative and adaptable parent. A few things to consider when speaking with the examiner is to keep you emotions in check as best you can, don’t interrupt or raise your voice, and don’t focus on trying to convince them that your spouse is the devil. This will make you look like someone who is not in control of their emotions, and does not portray you as a fit and ideal parent. If the evaluation is at your home, it would be wise to have your home looking as good as it can be. While you don’t have to do an entire home makeover, the basics include a clean living space, a stocked fridge and cupboards, and the bedrooms should look more than just hospitable. If other people live in the house with you, they should be present for the interview as well. Preparation is key, but don’t be fake – be the best version of you that you can be. The more prepared you are, the more likely you are to present yourself better to the examiner. Paul E. Rudder, Esq. has a unique advantage in negotiating custody disputes as he also is often appointed by courts as Attorney (Guardian) for children in high conflict divorces. 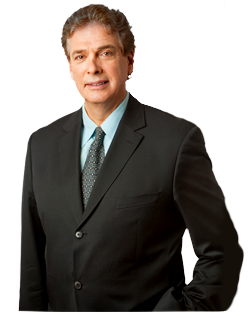 If you need legal assistance from a child custody lawyer in NYC, call 212-826-9900 today.